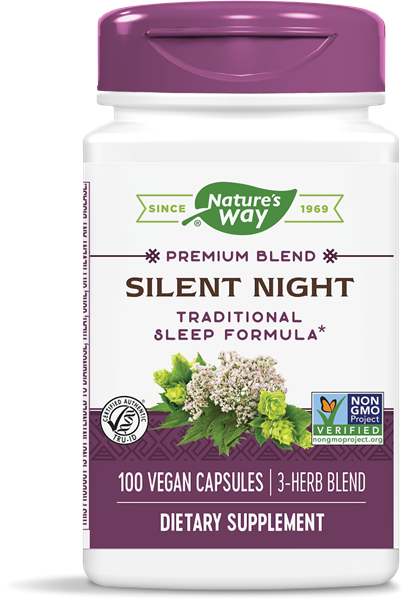 Silent Night™ / 100 Caps - Nature's Way®. Take 4 capsules one hour prior to bedtime. Caution: Do not exceed recommended dose. If difficulty sleeping persists for more than 2 weeks consult a healthcare professional. Insomnia may be a symptom of a serious underlying medical condition. Consult a healthcare professional before use if you are pregnant, nursing or taking sedatives, tranquilizers or any medications. Avoid alcohol and do not drive or operate machinery while taking this product.